BDP Cares supports the BDP Family and the communities we call home. As a global logistics company, we at BDP International understand the importance of contributing to the local communities in which we operate, live, work, play, and raise our own families around the world. Furthermore, we understand the necessity of living our values by practicing what we preach: BDP is a home, not a workplace. Together we are a family, not a workforce. We live by this belief, and consider the BDP Family to be an extension of our own homes. BDP Cares was created to support the BDP Family and the communities we call home. As a global organization, we at BDP International understand the importance of contributing to the local communities in which we operate, and where we live, work, play and raise our own families around the world. When superstorm Sandy hit the Northeast US in October 2012, the BDP Cares Employee Relief Fund (ERF), a 501(c)(3), was officially established. With employees devastated by unspeakable loss in the aftermath of the hurricane, the mission of the ERF was to provide basic necessities and temporary relief to assist full time employees who suffered as a result of the disaster. Since then, the BDP Cares brand has extended to include all charitable activities at BDP, namely, the RJ Bolte Foundation and the Ryan Christopher Bolte Foundation. In 2018, the BDP Cares corporate social responsibility committee will become global, with plans to create regional BDP Cares committees to increase the charitable work of BDP offices in every region. 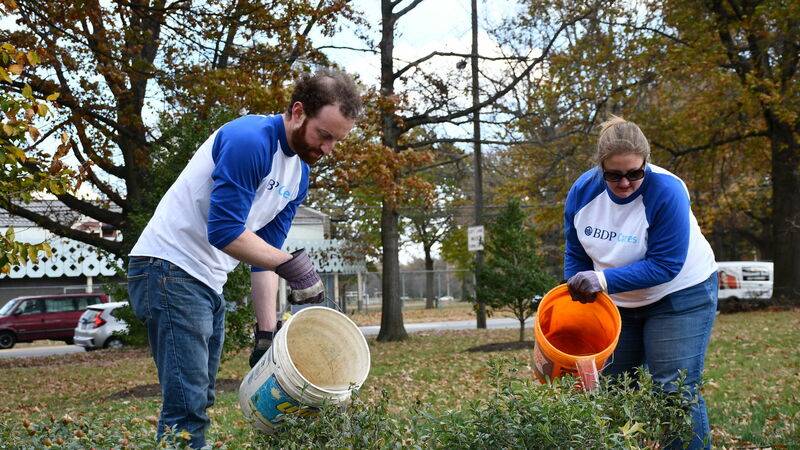 BDP employees around the world are dedicated to giving back to their communities.